Amid a vast population of internally displaced persons (IDPs) and ongoing ethnic tensions, the challenges in South Sudan continue to remain “enormous,” the head of the United Nations mission in the African country acknowledged today. At her first press conference since assuming her duties on 2 September 2014, Ellen Margrethe Løj noted that according to her mission’s new “streamlined” mandate, guaranteeing the protection of civilians “sooner rather than later” was among the top priorities of the UN Mission in South Sudan (UNMISS). 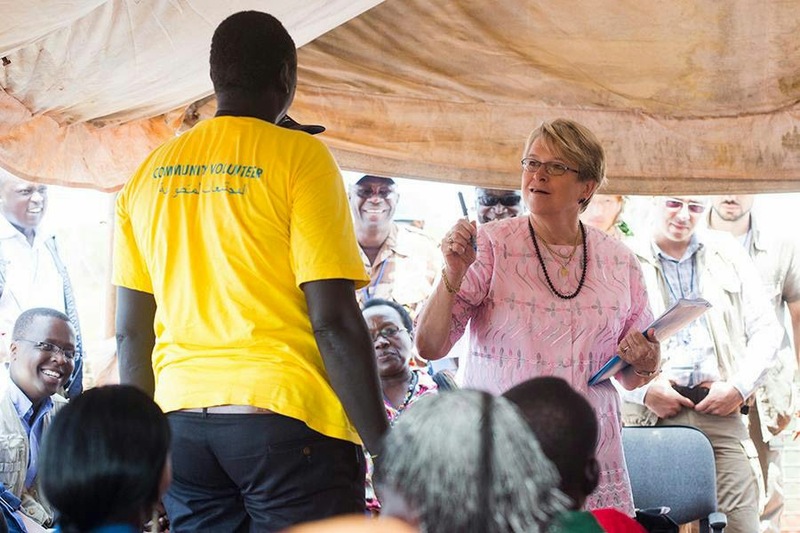 “We need to ensure that humanitarian assistance reaches areas of need and we need to ensure that there is accountability for human rights violations,” Ms. Løj, who is also the Secretary-General’s Special Representative for South Sudan, told reporters. “Protection of civilians remains central to South Sudan’s stability and, thus, a core priority of UNMISS’ mandate,” she added. Earlier this year, the Security Council extended the mandate of UNMISS until 30 November 2014, and authorized it to use “all necessary means” to protect civilians, monitor and investigate human rights, create the conditions for delivery of humanitarian assistance, and support the implementation of the cessation of hostilities agreement. Ms. Løj confirmed that the ethnic tensions sparked by political in-fighting between South Sudan’s President Salva Kiir and his former deputy, Riek Machar, continued to leave their mark. Of the more than 1.8 million South Sudanese who fled their homes because of the conflict that began in mid-December 2013, over 1.4 million remain displaced within the country. Most are sheltering in remote and hard-to-reach areas, and more than half of them are children. Meanwhile, an estimated 96,000 civilians continue to receive shelter at UN compounds. The envoy warned that UNMISS’ facilities were “never designed to host such large populations of people” and that IDPs were being relocated to new sites in Juba and Malakal to decongest and improve the living conditions at the over-populated locations. “These protection-of-civilian sites are not viable long-term solutions for the plight of their inhabitants,” she continued.